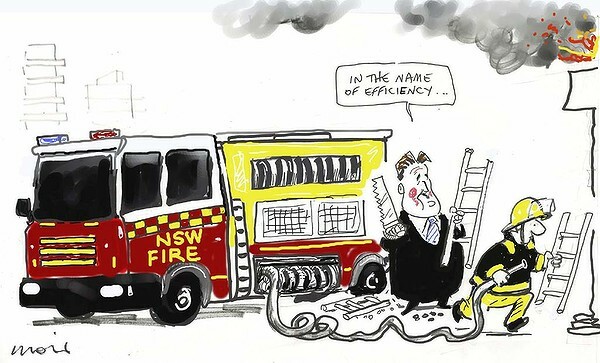 While Barry O’Farrell and the NSW Coalition tear apart emergency services with unachievable financial restrictions which can only lead to job cuts, Alan Moir at the SMH depicts the scene perfectly. The people of NSW need to decide whether there are areas that should be off limits to unreasonable budget cuts, financial cuts which may save money but will risk lives. Barry O’Farrell, swallow your pride. Exclude emergency services from your budget cuts. Every life, every injury, will be attributed to you.